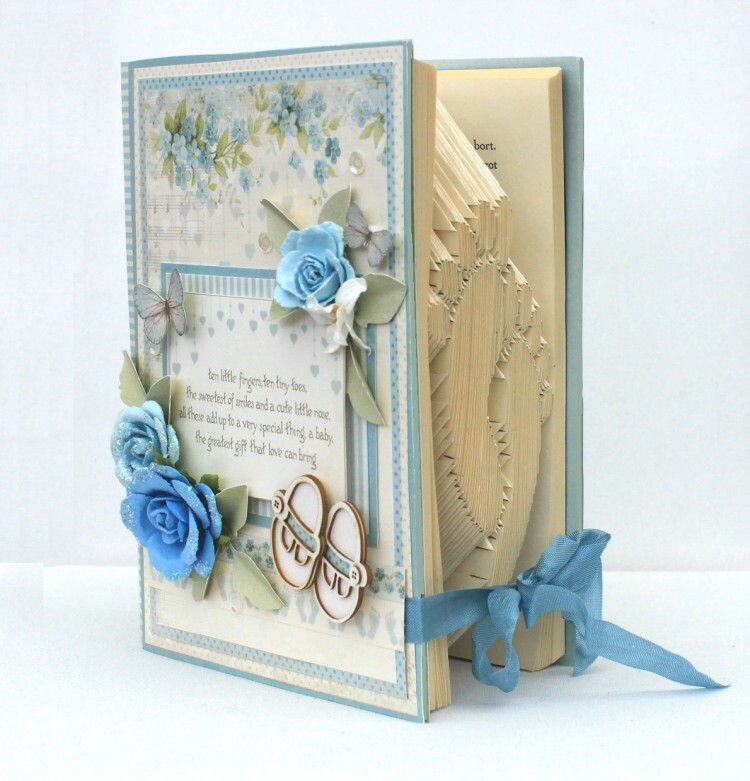 Good morning to you all, I have made a baby book for a sweet little boy. 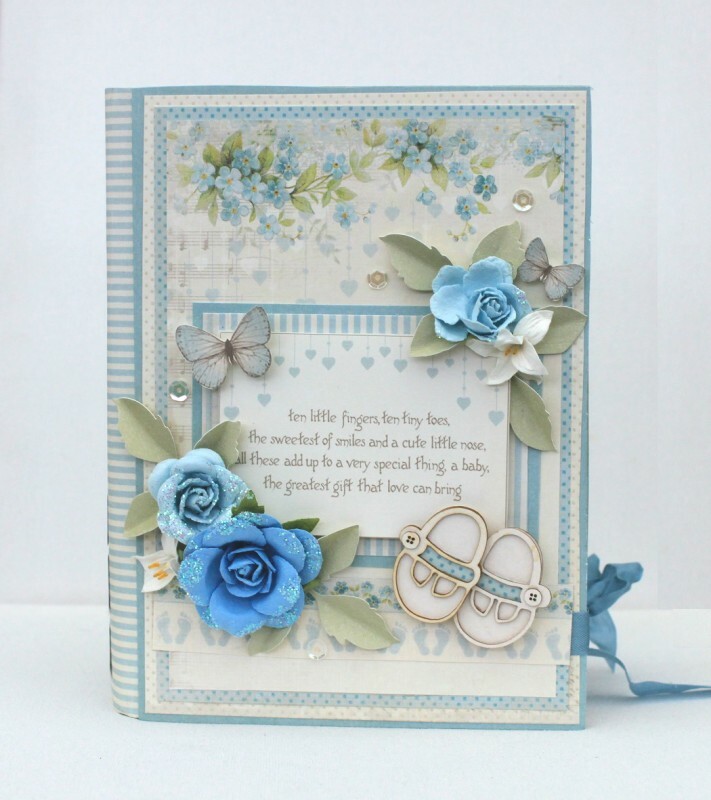 I cut out a few of the beautiful images from the collection Images from the past – Sweet baby II. Johanna…OMGosh, this is so beautiful! 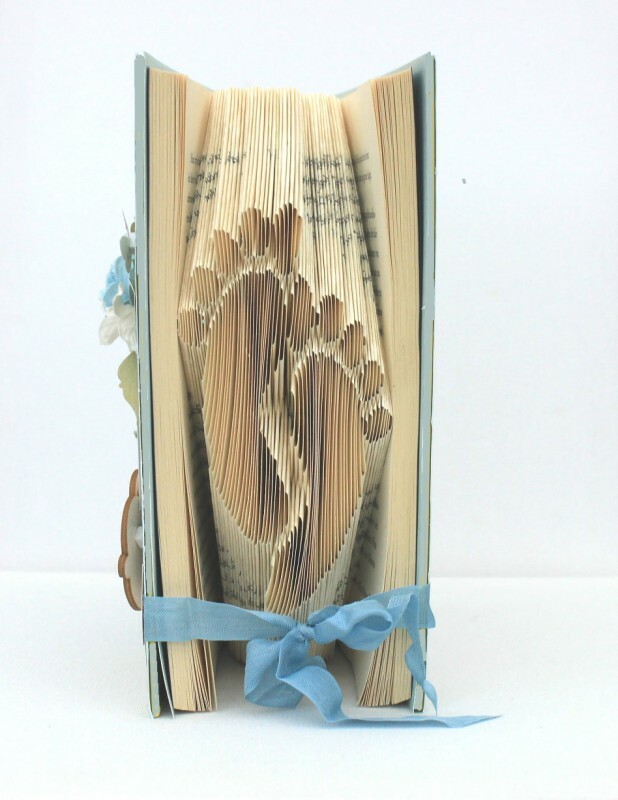 You are so patient and clever to create the sweet little baby feet from a book!! It appears you did this by folding pages to complete this sweet image!